This publication is the fourth in a series about how designers can contribute to solving issues in other sectors. 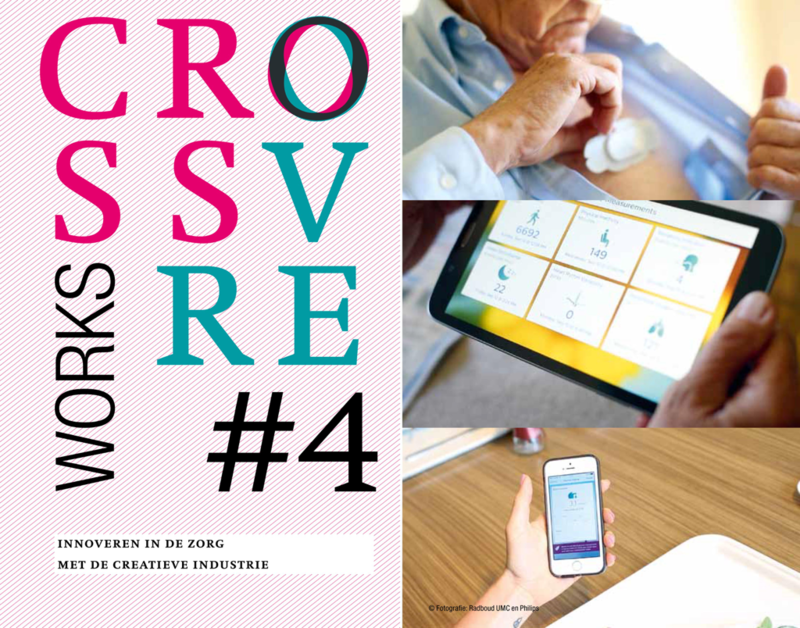 This special edition focuses on crossovers between the creative industries and the healthcare sector. This initiative is part of a wider movement to increase awareness of the importance of the creative industries to other sectors. We're aging, the welfare state is eroding and the money is running out. High time for smart solutions that ensure we can keep providing good healthcare and make those who need help less dependent on costly consultations and treatment. These solutions often come from unexpected sources. From the creative industries, for example: designers are increasingly collaborating with healthcare providers, scientists and engineers. In this book you'll discover the kind of valuable and heart-warming products and services that can lead to. Via the link below you can download the latest edition in digital form or order it in print for free.